Friday 18 March 2011 the Tobacco Products Science Advisory Committee urged the US Food and Drug Administration to remove menthol cigarettes from the American market, due to their effects on children, African-Americans, and American Hispanics. The Tobacco Products Science Advisory Committee did not find that menthol cigarettes were more dangerous than other cigarettes, but that they are, as smokers could easily understand, more fun to smoke. 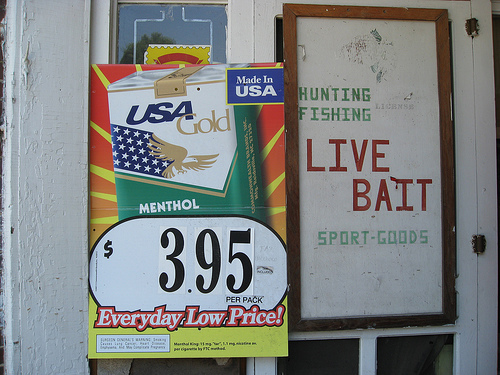 Menthol cigarettes encourage the habit of smoking at earlier ages, and, in the United States, they are disproportionately favored by African-Americans and Hispanics. Popular brands of menthol cigarettes include Kool, Camel, Newport, and Pall Mall. Understandably, major cigarette makers disagree with the recommendations of the science advisory committee. Spokesmen for the tobacco industry argue that if their products are causing children to become addicted to tobacco, it can only be due to illegal sales. But the American Cancer Society Cancer Action Network, the American Heart Society, the American Lung Society, and the Campaign for Tobacco-Free Kids counter that if the tobacco industry were not marketing tobacco to young adults, children about to become young adults would not be tempted to try it and become hooked. How serious is the problem, and what is the real evidence? There are 148 published scientific studies of the relationship between menthol and cigarette addiction, almost all of them finding that adding menthol to tobacco makes the act of smoking, although not the tobacco itself, more addictive. Here are some of the key findings of cigarette research. People of different races respond to nicotine differently. People of African heritage absorb more nicotine from tobacco and the byproducts of nicotine stay in their bodies longer. Smoking is more pleasurable for people of African heritage than for people northern European heritage because of biochemical differences. Cigarettes sell for 70 to 80 per cent more in African-American and Hispanic neighborhoods, because people in those neighborhoods are willing to pay higher prices per pack. Mentholated cigarettes are not more likely to cause cancer than non-mentholated cigarettes, but they do cause greater stiffness of the arteries, leading to high blood pressure and elevated risk of heart attack and stroke. Menthol has to be detoxified in the liver, and the cancer-causing chemical 4-(N-nitrosomethylamino)-1-(3-pyridyl)-1-butanol (NNAL) has to be detoxified in the liver. When the diet includes enough antioxidants, the two chemicals don't compete with each other for liver enzymes. When menthol smokers also have poor diets, they are at increased risk for lung cancer over non-menthol smokers. The science about menthol in cigarettes and its health effects does not lend itself to slogans or sound bites. The detrimental effects of menthol on health are indirect, and they are mediated by genetic differences. Ironically, people of European descent, who tend not to smoke menthol cigarettes, are more immune to the effects of menthol than people of African-American or Hispanic descent, who do tend to smoke menthol cigarettes. READ Menthol Cigarettes: Are They Better Than Regular? One thing is for sure: The tobacco companies will apply their considerable resources to stop the banning of menthol cigarettes. Said Murray Kessler, chairman of the board of Lorillard, maker of Newport cigarettes, "(This) report is just the first step in what we believe will be a very long process that ultimately does not result in the removal of menthol cigarettes from the marketplace, especially when contraband and other unintended consequences are seriously considered." Is smoking lights cigarettes less harmful? Why must you shift to electronic cigarettes?